Perhaps more than any other disciplinary or topical area addressed in the Exploring Africa curriculum, students will come to a study of Religion in Africa with a limited knowledge base, or with a knowledge base severely distorted by stereotypes. For this reason, it was decided to start the student section of this module with a brief explanatory introduction to religion in Africa. This introduction to the students replaces the background notes for teachers that normally begin each new module. The learning activities in this module stress the importance of religion in African societies, cultures, communities, and in the personal lives of many Africans regardless of ethnicity, socio-economic class, gender, or locale (urban or rural dweller). While this generalization is certainly correct, it is important that in emphasizing the importance of religion and the spiritual realm in Africa that students do not leave this study with an equally stereotypical perspective that African societies and individuals are more susceptible to spirituality and less interested in other aspects of society, culture, and living than are North Americans and Europeans. The integration of the spiritual into everyday living does not lessen the importance of material aspects of society and of living in African societies and cultures. 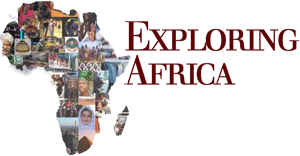 To reiterate what has been stated in the “Purpose” statement, in addition to enhancing students’ knowledge and understanding of religious thought and practice in Africa, the learning activities in this module will stress the dynamic, heterogeneous, and adaptive nature of religious traditions and practice in Africa. All three major religious traditions in Africa -indigenous African, Islam, and Christianity -share these “behavioral” characteristics.